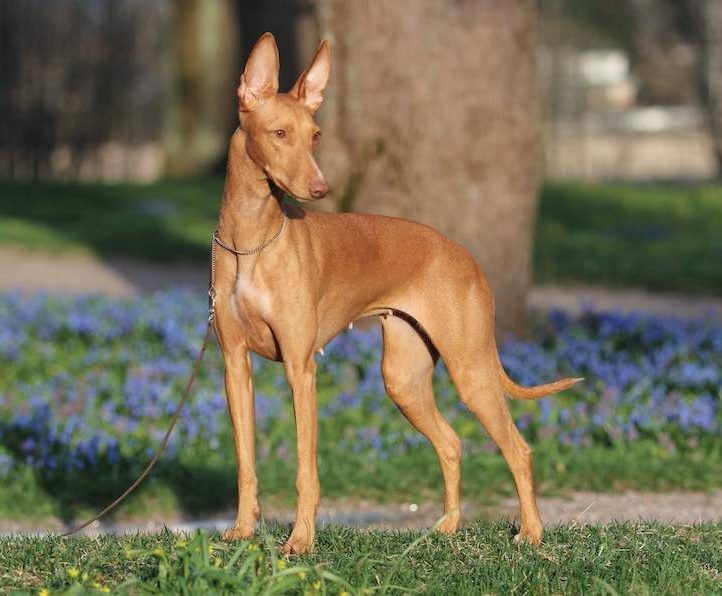 The Pharaoh Hound is an elegant but rugged sprinting hound bred to chase small game over punishing terrain. Quick and tenacious with an amazing nose, these friendly, affectionate hounds settle down nicely at home. The Pharaoh is quick to learn and eager to please. However, there is a problem in teaching them to come if they’re off-leash in an open area. It has been proven time and again that most Pharaohs, no matter how obedient or well trained, will not come when called when they find themselves suddenly in a “free situation.” They will run off, happy to be hunting. It’s best to keep them leashed or in a fenced yard when outdoors. The Pharaoh tend to do well with families and children, but make sure to meet their exercise requirements (20-40 minutes a day).